After some discussions on IRC I’ve participated I’d like to present here for future discussion. Audio API should reflect video API as much as possible. Now decoder outputs 16-bit native-endian audio into raw buffer. Introduce audio formats. I’d like to be able to decode old 8-bit codec into bytes, newer 24-bit audio into 32-bit ints, floats for other codecs if they need it, etc. Swscaler-like structure for format handling and negotiations between audio filters. Block-based audio processing. Each audio should be operated as a multiple of blocks with fixed number of samples (like video is operated by frames and rarely by slices). Why not always by single block? Because some formats throw chunks with multiple blocks to decode (Monkey Audio, Musepack SV8) and some have too small blocks that cause too much overhead to process them by one at time (most speech codecs and (AD)PCM). This is just a bit stricter than current scheme. Now, who wants to implement this? I just had to post this – our Philharmonic presented own harpsichord. Several years ago when I first visited it I’ve listened to concert music with harpsichord but it was borrowed one and there was nothing comparable since that time. The presentation went well and we were enjoying different music – from sonatas by Handel and Telemann, Johann Sebastian Bach concertos to Mozart to jazz improvisations and modern Ukrainian music (well, when composer plays on one of the instruments himself I consider it modern). Looking forward for further listening (with hope that it would take less than a couple of years of waiting). I gladly remember this book as it’s quite outdated but at least it covers many codec, container and even implementation issues (unfortunately, sound only))! And I know where to get information ;-). Well, let’s see if this catches up. 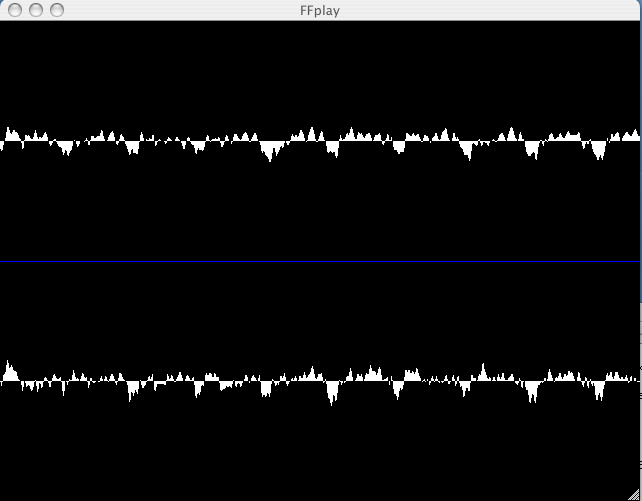 I have never though about FFplay in that way but it had struck me today that waveform visual display is one of the best ways to debug it. I must also add that most audio player have visualizers but they lack simplicity and usability of this 640×480 clean waveform rendering. You are currently browsing the Kostya's Boring Codec World blog archives for November, 2007.